Lisa was a victim of Satanic Ritual Abuse (SRA). Bound by demons and forced by trauma to develop multiple personalities, she beats all odds for survival: physically, mentally, emotionally, and spiritually. 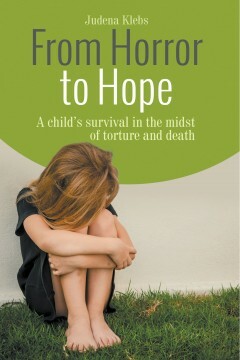 These pages provide hope for recovery from the most extreme and damaging forms of child abuse. Ambassador Joseph Kennedy lost three of his favorite children to violent death due to his fanatical ambitions. Joseph Junior, in love with the former Lady Jersey, Pat Wilson, died in a bombs-laden aircraft that exploded in World War II; Kathleen, perished during a storm that tore apart the plane carrying her with a titled lover to Cannes; John F. Kennedy, deeply in love with Ingrid Arvad, was transferred due to pushy father from his safe desk job in Washington to Solomon Islands was assassinated while preparing for his Second Term as President. In this tasty novel, Kick wins undying love from American, Mark Esterhazy. Not until fourteen years after her accident does Mark fall in love with Kick’s double, Rosie O’Hara, who is perilously researching names of JFK’s instigators. Thereby causing Rosie and Mark to become targets for those same assassins. Beatrice Fairbanks Cayzer comes from an illustrious family. Her two ancestors who came to Upper Virginia on the May??? ?lower in 1620 helped found their community. Beatrice founded the Cayzer Museum for Children in England where she was the wife of Stanley Cayzer a grandson of Sir Charles Cayzer founder of shipping companies that evolved into Caledonia Investments, and nephew of Admiral Lord Jellicoe, the second Governor General of New Zealand. Then she turned into writing. In Oxfordshire, she wrote The Princes and the Princesses of Wales. 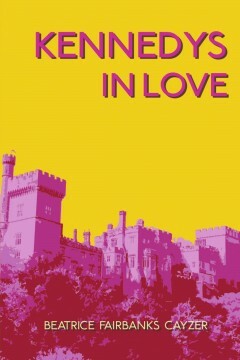 In Guernsey, she wrote The Royal World of Animals. Returning to the USA, she wrote nine Rick Harrow novels, winning Book of the Year Award from the Horseracing Writers’ Association. In 2016, she had a sell out with The Secret Diary of Mrs. John Quincy Adams and in 2018 had another sell out with New Tales of Palm Beach. Do you know someone that grew up in the ‘60s? If so, ask them to tell you their Volkswagen story. For sure, everyone who came through the ‘60s has had at least one experience in a Volkswagen…the little motor in the back….cold in the winter, hot in the summer…first love, maybe? In 1969, four young men who had been recently discharged from the military met in a bar in San Diego. 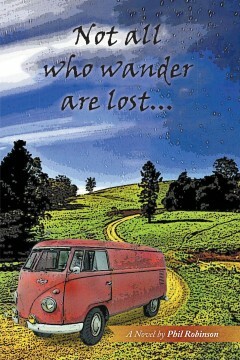 They decided to pool their money, buy an old VW van and tour the country on the way home. Re-live this trip with the “fearsome foursome” as they traveled the nation in a beat up van, finding adventure that runs the gamut from funny and poignant to downright dangerous. The experiences they had on this trip would change them forever and had much to do with the outcome of the rest of their lives as evidenced when, in present day, the main character, a former Marine named Robby McLeod, buys a restored VW van and tracks down his traveling companions of 40 years ago. This Volkswagen story encompasses romance, action and adventure, an of reflection and enlightenment that all began on that journey home.